In the previous section of series – Getting Ready for Smart Contract Development on EOS, we took a deep dive in setting up the correct environment needed for interacting with a blockchain infrastructure managed by the EOS.io software. We learned how to spin up a developer sandbox environment through pulling official pre-built development images through docker. We also learned how to properly set up a single blockchain, create the necessary accounts, keys, and wallets in order to deploy contracts into the blockchain. In this section part 2 section of the series, we’ll continue to explore how accounts and wallets interact with smart contracts that are deployed on the blockchain. We’ll first get a taste of smart contract development by simply constructing a “Hello World” contract and deploying it under the sandbox environment which we have created in the previous part of the tutorial. Following the wallet set up that we have done in the last article in Getting Ready for Smart Contract Development on EOS, we should first get the more clearer sense of how wallet, keys, and accounts interact within the Eos ecosystem. Cleos – which is the command-line tool that acts as an interface between nodeos – the actual node daemon hosting the blockchain and keosd – the component responsible for managing keys in the wallet. The Eos blockchain hosted by nodeos will only recognize accounts as an identity that’s associated with each individual entity acting and transacting on the blockchain, and these accounts are connected by the cryptographic identity of the private key that we are accustomed to in other blockchain platforms. These private keys act as the credential to prove to the Eos blockchain that an individual is indeed the owner of the account. The wallet itself, however, doesn’t directly interface with the Eos blockchain, it’s only responsibility is to manage and keep the private key from being exposed. In the sandbox developer environment that we have created in part 1 to prepare yourself for smart contract development, the sandbox Eos blockchain will actually generate a block producing account called eosio. The specific private key of this eosio account can be found within the config.ini file. Without importing the private key to any one of our active wallet, we won’t be able to gain access to the eosio account. Since in Eos, account generation can only be done by an existing account, we won’t be able to generate additional accounts, signing transaction and deploying smart contracts; thus, we have imported the key in one of our generated wallet of “producer”, in practice, the key can be imported into any of the active wallet or even multiple wallets. We will dive deeply in terms of writing our own smart contract in our future tutorials. The “hello world” smart contract encompasses a simple function which upon calling with a parameter that defines the account name through a signed transaction, will return the string “Hello, ” and the account name. First, place the “hello” folder which we just have created into “keosd-data-volume” – the shared folder mount point between the docker container keosd and the host system. Note, since the folder itself is created by docker we will be needing superuser privilege when moving files into it. Change directory to where the “hello” folder is located within the container. Let’s create a contract account called “hello.code” to deploy a smart contract. Creating a separate account for the purpose of the deployment is preferred since other participants will access the contract that we’ve created through the reference of the contract account. The owner public key and active public defines the permission level that the account is associated with. By default each account will have two native named permission which is owner and active. The ownerpermission level have the greatest authority of the account and will be used in cases where greatest authority is required such as changing the ownership of the account. 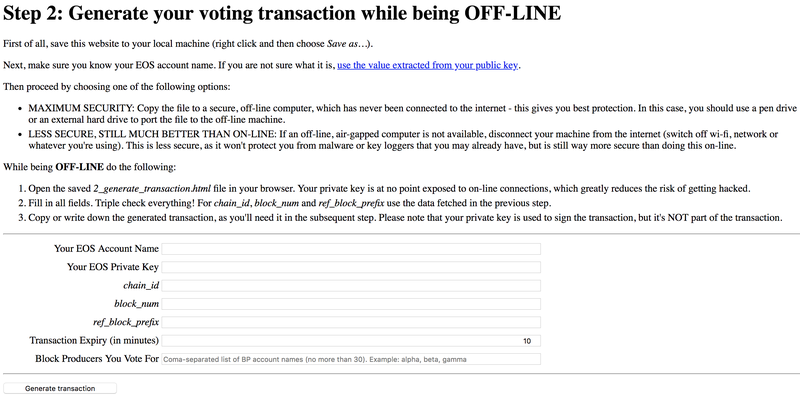 The active permission, on the other hand, is more commonly used for signing transactions associated with the account. Custom permission level can also be implemented to extend controls of the account. Let’s deploy our “hello world” contract and sign off the transaction with the active permission of our newly generated contract account hello.code. Now that we have successfully deployed our first “hello world” contract, let’s try to deploy another token contract that can be used to issuing your own tokens on the Eos platform. Again, let’s start by creating a token contract account that’s responsible for managing the token contract. Now that we have learned how to deploy and interact with smart contracts, it’s essential to start defining our own contract logic that we see fit for the use cases of our Dapp. In the next part of our series, we’ll dive deeper into the details of how to exactly write a smart contract. Stay tuned …The output should look something as the following indicating the successful transaction. NEWS: V1.1.3 has been released! The removal of subjective leeway time for scheduled transactions in Version 1.1.2 exposed a latent bug in validation logic that eventually prevented nodes from being able to join active and valid chains ( #4986 ). As a result, Version 1.1.2 is considered invalid and all node operators running it should consider upgrading. Boost 1.68 will soon be released. Pin the MacOS homebrew install to 1.67, for now, to preemptively avoid auto upgrade when running eosio build script. NEWS: V1.1.2 has been released! The release of v1.1.2 provides non-critical security updates, bug fixes and minor improvements. When we did the regular check on our official EOS node on the main-net, we found that one full node was evicted and can’t be launched again. Obviously, the node was shut down and not working. 0/2 nodes are available: 1 node(s) had disk pressure, 1 node(s) had taints that the pod didn’t tolerate. 6. 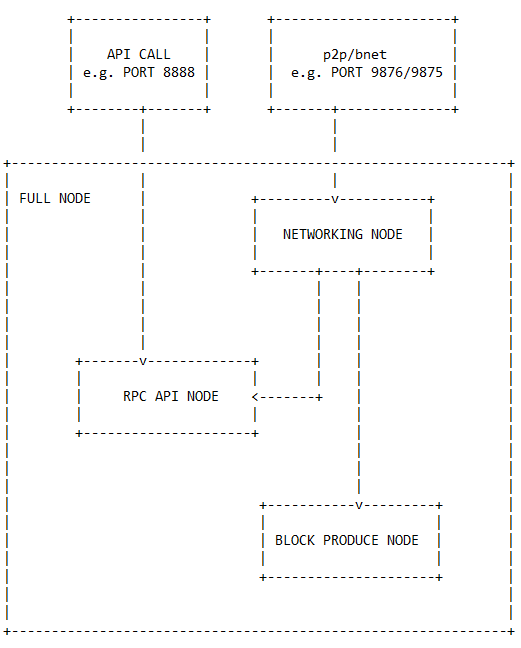 Now the I/O chart from each node after the change. Most of the EOS node infrastructures in the community are built on top of docker. So do we. One of the most common and challenging error is database dirty flag set when the node instance shuts down. This leads to the node unable to restart properly from the previous point due to the broken data integrity. Referring to our documentation of How to build BP like a boss (Build Docker Image), we mentioned the reason that why that error happened and what was the best way to resolve the issue. It’s very important to make the nodeos command as the entry point. Otherwise, when the container is shutdown or stop, the nodeos won’t get the SIGNTERM from the docker, and if the nodeos is NOT shut down gracefully, block database can NOT be used again and the node has to spend time to resync with the other nodes. In terms of the EOS source code, the nodeos will take the corresponding action, when it traps the SIGNTERM from the operation system. The bnet_plugin will also take the corresponding action to end the thread. That’s the only way to gracefully shutdown the nodeos and only after that, the database won’t set the dirty flag and is able to be started again. Launching the nodeos by running a start.sh in the dockerfile is a common way on the Internet now. But this requires the human intervention (run stop.sh) to gracefully shutdown the nodeos before the docker container stops. By running docker stop or docker restart directly will consistently damage the data integrity and set the database dirty flag. With the blocks growing every seconds, the EOS node needs more and more time to re-sync or catch up with the other nodes from the 1st block on the net. Backing up the snapshot to be used when the incident happens becomes a critical challenge for each EOS node. Backing up a running node renders the database flagged invalid and defeats the purpose of a reusable backup. Knowing the root cause of the problem, now we are able to start / stop the EOS node with data integrity at any given time. This is the prerequisite for the clean backup & restore. After we stop the node peacefully, we run the command such as below to do the backup. Once the backup is completed, we could easily start-up the node again. It’s the same that let’s stop the node first, and run the command such as below to do the restore. Once the restore is completed, we could easily start-up the node again from the last stop point. If you have any questions or anything you would like us to do, please feel free to leave the comment or send an email or visit our website. If you are interested in running and maintaining a BP node, EOS9CAT are more than happy to help you. If you think our content helps you, don’t forget to vote for EOS9CAT – eosninecatbp. Thank you for your support! Follow us on Facebook, Telegram, Medium, Steemit, Github, Meetup – 9cat, Reddit, or Twitter now! Our team, EOS9CAT came with a very short explanation and hope it would be helpful for everyone here. Decentralized means that not one single entity has control over all the processing. By nature, this implies that it is distributed among various parties.